Following the major seismic events in September 2010, February 2011 and the ongoing aftershocks and new events, a large number of houses were repaired using various evolving methodologies and strategies. It is becoming more frequent for Insurance Companies to ask for the Scope of Works or Repair Strategy for a property to be audited against the current condition of the property to determine if the repair work has been carried out, and to the correct standard. 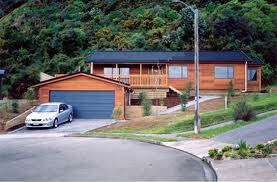 This is generally required before the Insurance Company will insure the property. We are able to conduct this audit at the time of the Inspection or as a separate process. This requires provision of the Scope of Works or Repair Strategy documents and any documents signing off the repairs to prove these have been completed. There are times when a copy of the Property File held by the Local Authority needs to be obtained and also compared to the actual property to provide details of construction and age.